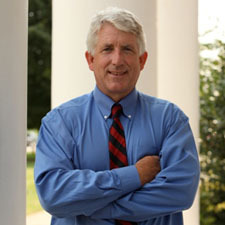 As part of his ongoing efforts to address a troubling rise in heroin and opioid abuse in Virginia, Attorney General Mark R. Herring, along with the attorneys general of 36 states plus the District of Columbia, has written to leaders in the U.S. House and Senate Judiciary Committees urging passage of the Comprehensive Addiction and Recovery Act of 2015 (S. 524/HR 953). Attorney General Herring announced a multifacted five point plan to combat heroin and prescription drug abuse in September of 2014 that emphasizes prevention and education along with law enforcement partnerships, prosecutions, and accountability for doctors and pharmacists that make opioids illegally available. Last week he announced that Virginia joined a first-of-its kind task force that fosters cross-state collaboration and leverages resources to combat heroin distribution and the associated rise in heroin overdose fatalities. The Comprehensive Addiction and Recovery Act would provide states with the necessary tools to more effectively confront the growing challenge of heroin and opioid abuse and addiction. According to the Centers for Disease Control and Prevention, drug overdoses now surpass automobile accidents as the leading cause of injury-related death for Americans between the ages of 25 and 64. More than 100 Americans die as a result of overdose in this country every day – more than half of them caused by prescription drugs or heroin. In Virginia, 478 people died of heroin and prescription drug overdoses in 2014 alone. Expand prevention and educational efforts – particularly aimed at teens, parents and other caretakers, and aging populations – to prevent the abuse of opioids and heroin and to promote treatment and recovery. Expand disposal sites for unwanted prescription medications to keep them out of the hands of children and adolescents. Launch and evidence-based opioids and heroin treatment and intervention program to assist in treatment and recovery throughout the country.